Some people have Bulletproof coffee for breakfast. For myself, I eat four eggs and four pieces of bacon for breakfast. What’s the nutritional difference between the two meals? 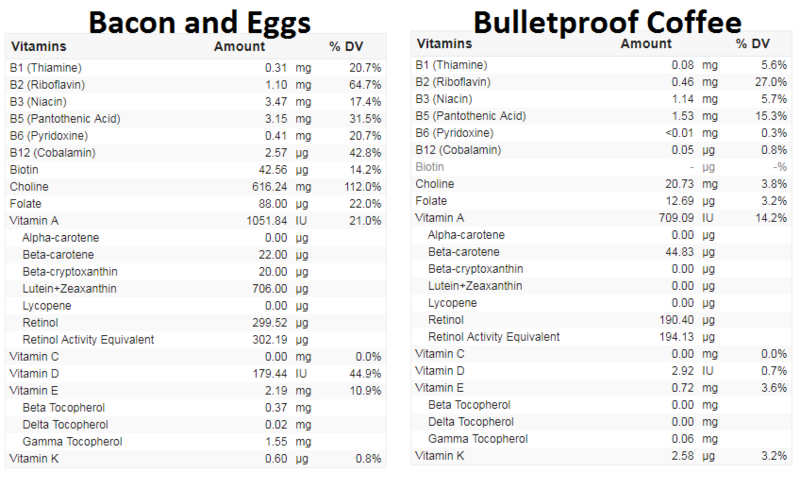 Here is the nutritional facts for Bulletproof coffee compared to 4 Eggs and 4 slices of bacon. The calories are nearly identical. The energy cost of eating protein (about 35%) more than offsets the small number of calories more in the bacon and eggs. There’s almost no energy cost to eating fat (around 95% gets stored). 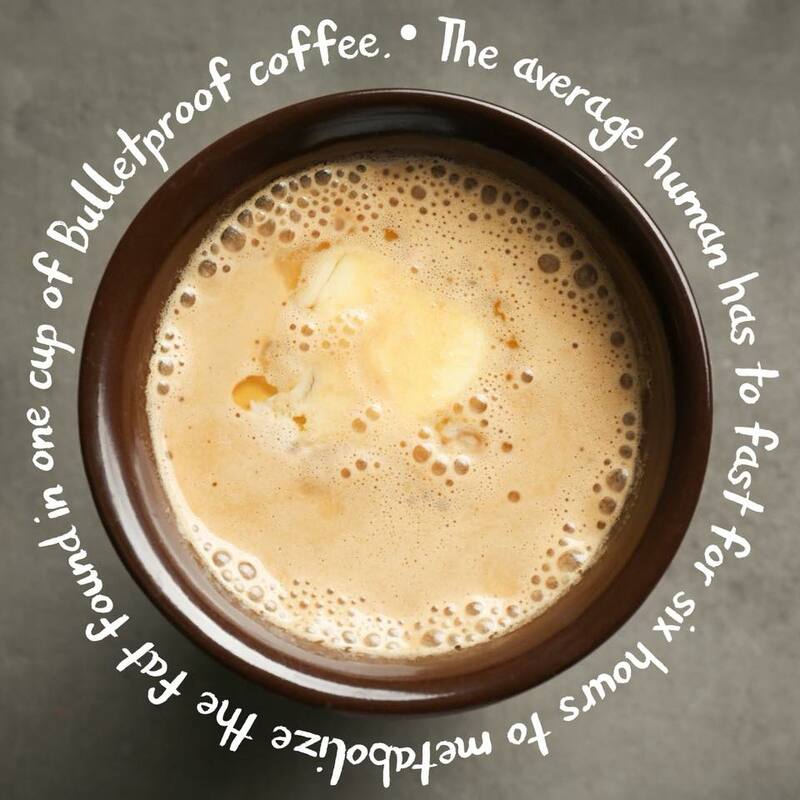 The Bulletproof Coffee recipe is almost all fat. 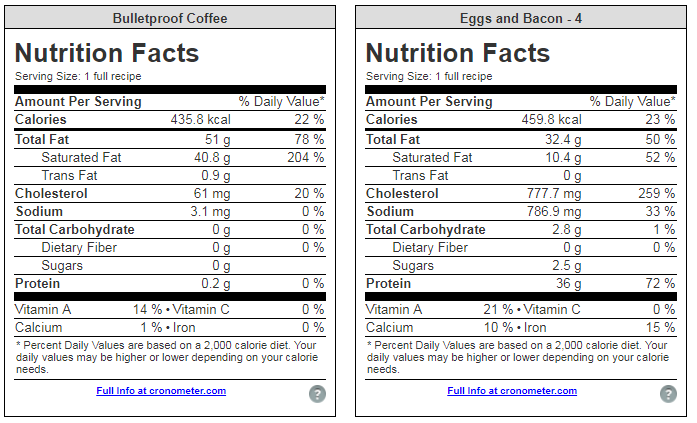 The bacon and eggs breakfast provides a nearly matched number of fat and protein grams. I specifically selected the ingredients to meet the Leucine Threshold for Muscle Protein Synthesis. It is valuable to hit this threshold after the overnight fast. Once again, bacon and eggs for the win. The complaint could then be made that vitamins are fat soluble. The beauty of the bacon and eggs breakfast is that there’s still plenty of fat. It seems like there are [at least] three basic ideas of how to implement maintenance on Low Carb. 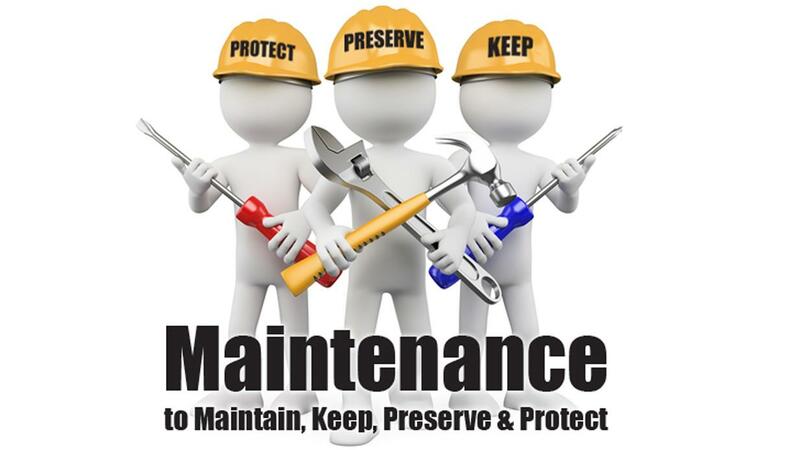 I picked representatives of each of three and look at their methodology for maintenance. Each of these three has their merits and downsides. Sometimes the first idea is the right idea and Dr Atkins sure did suffer a lot of slings and arrows in his day. He was tormented even in death by his opponents. I did his diet back in the 1990s and did well for over a year on it. I tapped out due to heart rhythm issues which seem to be recurring now (PVCs in particular). I think they are likely electrolyte imbalances. (Later note: See this post for my current strategy which seems to be working]. The Atkins diet starts with a 2 week induction period at 20g of carbs a day and then increases. At maintenance, the person is supposed to work up to their personal carb limit and remain at that level with an occasional adjustment if they go too far off the rails. This approach might work well for some. It worked OK for me and at least taught me to avoid really stupid amounts of carbs but I never went below about 228 lbs before I transitioned over to maintenance carbs. Later on, my Insulin pump data showed my average was 200 grams of carbs a day before I got off Insulin which is less than SAD and proof that I did learn something about carbs back when I was on Atkins. But, clearly 200 g of carbs was above my personal threshold. And there’s good evidence that 100 g is probably too much, too. Carbs have a way of sneaking back in and this method is a way to get back on the blood sugar roller coaster for some. Above some point the benefits of the keto diet get lost because carb cravings get stoked. Plus it is difficult to add carbs and keep them clean carbs. It’s really easy to add back in junk carbs. Bernstein – “When we want to halt weight loss we increase protein“. I think Bernstein nicely addresses the problems with bringing back in carbs but I don’t think his method works for me. I’ve essentially done it when I did carnivore and I kept losing weight in spite of eating a lot more protein. It might work for others. My normal diet gives me enough substrate for GNG (which is demand driven) plus substrate for Muscle Protein Synthesis. Beyond some point Protein just gets eliminated via urea. The reason this is ineffective may be that increasing protein over my normal diet significantly has a very marginal effect on FQ. Holding carbs constant (22.8g) and fat constant (191g) and taking my Protein from 179 to 300 only takes my FQ from 0.740 to 0.749 at the expense of a whole lot more protein. Dr Ted takes a unique approach which seeks to take into account the strengths of both of the previous methods. 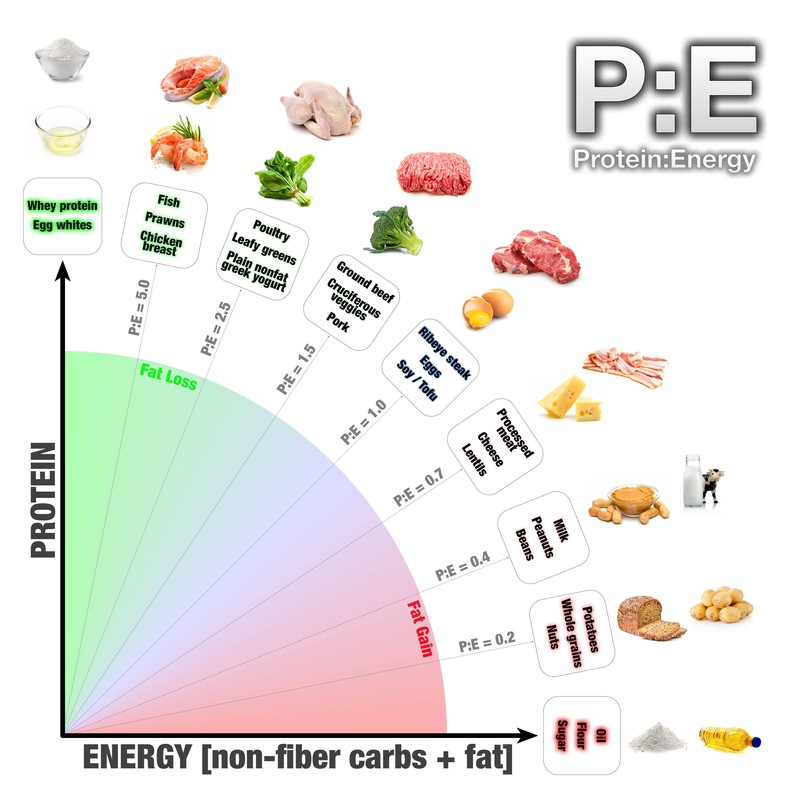 His method is to balance the energy from protein with the non-protein energy (in terms of grams of each not in terms of calories). His formula is essentially 30% of calories from Protein and 70% from fat and carbs. His method keeps ketogenic levels of carbs (20 or 30 or less a day) from good sources and avoids carb cravings that come with higher carb levels (no blood sugar roller coaster). I am currently trying Dr Ted’s method. His method sets the Protein grams to body weight in lbs. I am currently 169 lbs, so if I want to stay in the 165-175 lbs range (nominal 170 lbs) I need to eat 170g of protein a day. That would be matched with 20 grams of carbs and 150g of fat a day. That is a FQ of 0.744-0.745. That is slightly more than my current 0.740 from last week. FQ g cals portion cals Numer. Denom. I am interested to see how this works out since that’s a lower total calorie count than I have been eating (and I was still losing weight). I was at an average of 2526 calories a day last week and my starting/ending weights were the same. Dr. Ted’s method doesn’t adjust up or down for physical activity. I will do this for a month and see how it works out. If I drop below 165 lbs for any extended period I will evaluate whether I need to increase calories or not. Insulin resistance is defined where a normal or elevated insulin level produces an attenuated biological response; classically this refers to impaired sensitivity to insulin mediated glucose disposal. Compensatory hyperinsulinaemia occurs when pancreatic β cell secretion increases to maintain normal blood glucose levels in the setting of peripheral insulin resistance in muscle and adipose tissue. Insulin resistance syndrome refers to the cluster of abnormalities and related physical outcomes that occur more commonly in insulin resistant individuals. Given tissue differences in insulin dependence and sensitivity, manifestations of the insulin resistance syndrome are likely to reflect the composite effects of excess insulin and variable resistance to its actions. Metabolic syndrome represents the clinical diagnostic entity identifying those individuals at high risk with respect to the (cardiovascular) morbidity associated with insulin resistance. At rest we don’t need glucose for our muscles. Muscle cells do not rely on glucose (or glycogen) for energy during the basal state, when insulin levels are low. 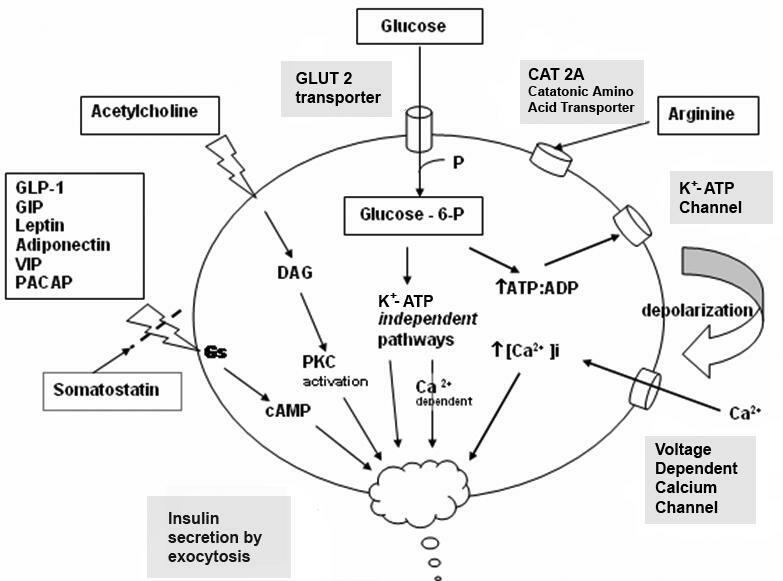 Insulin suppresses protein catabolism while insulin deficiency promotes it, releasing amino acids for gluconeogenesis. In starvation, protein synthesis is reduced by 50%. hilst data regarding a direct anabolic effect of insulin are inconsistent, it is clearly permissive, modulating the phosphorylation status of intermediates in the protein synthetic pathway. Intracellular glucose transport into adipocytes in the postprandial state is insulin-dependent via GLUT 4; it is estimated that adipose tissue accounts for about 10% of insulin stimulated whole body glucose uptake. Insulin stimulates glucose uptake, promotes lipogenesis while suppressing lipolysis, and hence free fatty acid flux into the bloodstream. As adipocytes are not dependent on glucose in the basal state, intracellular energy may be supplied by fatty acid oxidation in insulin-deficient states, whilst liberating free fatty acids into the circulation for direct utilization by other organs e.g. the heart, or in the liver where they are converted to ketone bodies. Whilst in insulin deficiency, e.g. starvation, these processes are more uniformly affected, this is not necessarily the case with insulin resistance. Compensatory hyperinsulinaemia, differential insulin resistance and differential tissue requirements may dissociate these processes.3 Resistance to insulin’s metabolic effects results in increased glucose output via increased gluconeogenesis (as in starvation), however, unlike starvation, compensatory hyperinsulinaemia depresses SHBG production and promotes insulin’s mitogenic effects. Alterations in lipoprotein metabolism represent a major hepatic manifestation of insulin resistance. Increased free fatty acid delivery, and reduced VLDL catabolism by insulin resistant adipocytes, results in increased hepatic triglyceride content and VLDL secretion. Hepatic synthesis of C-reactive protein, fibrinogen and PAI-1 is induced in response to adipocyte-derived pro-inflammatory cytokines such as TNFα and IL-6. Insulin may also increase factor VII gene expression. The insulin resistance syndrome describes the cluster of abnormalities which occur more frequently in insulin resistant individuals. These include glucose intolerance, dyslipidaemia, endothelial dysfunction and elevated procoagulant factors, haemodynamic changes, elevated inflammatory markers, abnormal uric acid metabolism, increased ovarian testosterone secretion and sleep-disordered breathing.3 Clinical syndromes associated with insulin resistance include type 2 diabetes, cardiovascular disease, essential hypertension, polycystic ovary syndrome, non-alcoholic fatty liver disease, certain forms of cancer and sleep apnoea. What if the History of Diabetes Went Wrong? In an interesting paper the question is asked what if the history of the development of our understanding of diabetes has it wrong? The paper (J. Denis McGarry. What If Minkowski Had Been Ageusic? An Alternative Angle on Diabetes. Science, Vol. 258, No. 5083 (Oct. 30, 1992), pp. 766-770). and hyperglycemia might be more readily understood if viewed in the context of underlying abnormalities of lipid metabolism. The author considers the possibility that the hyperinsulinemia of early non-insulin—dependent diabetes is coincident with hyperamylinemia, since insulin and amylin are cosecreted. Amylin would cause an increase in plasma lactate (Cori cycle); and lactate, a better precursor than glucose for fatty acid synthesis, would indirectly promote the production of very-low-density lipoproteins (VLDL). There would follow an increased flux of triglycerides from liver to muscle (and adipose tissue) and, as proposed and elaborated on, an increase in insulin resistance and production of many of the metabolic disturbances occurring in diabetes. The author of the paper draws heavily on the Randle Cycle. The Randle cycle is a biochemical mechanism involving the competition between glucose and fatty acids for their oxidation and uptake in muscle and adipose tissue. The cycle controls fuel selection and adapts the substrate supply and demand in normal tissues. This cycle adds a nutrient-mediated fine tuning on top of the more coarse hormonal control on fuel metabolism. This adaptation to nutrient availability applies to the interaction between adipose tissue and muscle. Hormones that control adipose tissue lipolysis affect circulating concentrations of fatty acids, these in turn control the fuel selection in muscle. Mechanisms involved in the Randle Cycle include allosteric control, reversible phosphorylation and the expression of key enzymes. The energy balance from meals composed of differing macronutrient composition is identical, but the glucose and fat balances that contribute to the overall energy balance change reciprocally with meal composition. Fatty acids may act directly upon the pancreatic β-cell to regulate glucose-stimulated insulin secretion. This effect is biphasic. Initially fatty acids potentiate the effects of glucose. After prolonged exposure to high fatty acid concentrations this changes to an inhibition. Randle suggested that the term fatty acid syndrome would be appropriate to apply to the biochemical syndrome resulting from the high concentration of fatty acids and the relationship to abnormalities of carbohydrate metabolism, including starvation, diabetes and Cushing’s syndrome. My own weight had been in the 280 range for a long time. In the months before I was diagnosed as Type 2 Diabetic my weight dropped 50 lbs without any lifestyle changes. After I went on Metformin my weight was relatively lower for a while. When I eventually went on Insulin my weight went up 40+ lbs fairly quickly. It is well known that Insulin adds weight. My own thought is that the Insulin is both the lock and the key. Increased levels of Insulin pushes glucose or fat into cells and decreased levels of Insulin allows fat to come out of cells. That’s why Intermittent Fasting is such a great bullet for Type 2 diabetics. It allows our fasting Insulin levels to drop. Add to that Low Carbohydrate diets and the perfect recipe for controlling Diabetes comes into play. The problem never really was Insufficient Insulin. The problem was too much Insulin. And clearly it is a fat related problem. Author DougPosted on March 29, 2018 June 9, 2018 Categories Diabetes, Diabetes MedicationsTags Hyperinsulinemia, Muscle Protein Synthesis, proteinLeave a comment on What if the History of Diabetes Went Wrong? 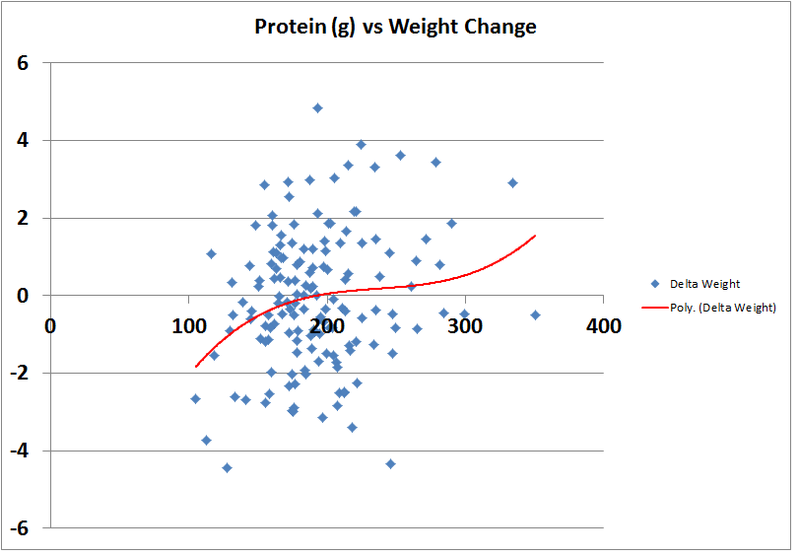 I did a previous Protein Experiment where I compared the response of my Blood Sugar to 50 grams of Whey Protein vs 50 grams of Casein Protein. 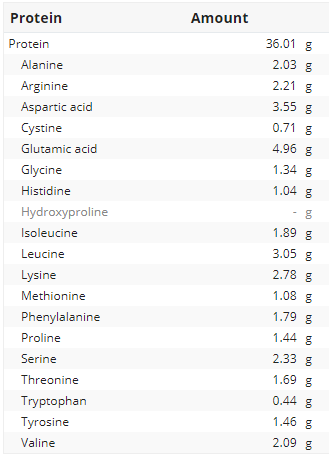 Since both of those were “pure” Protein with very little fat, I was curious how those results would compare to animal protein which had fat. 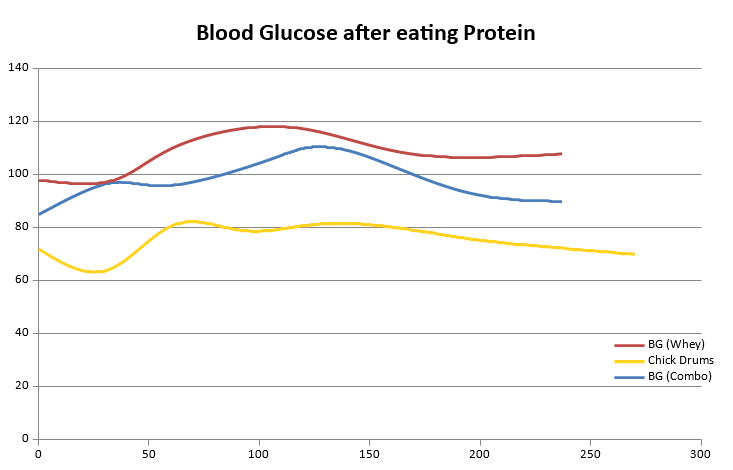 Here is the Blood Glucose numbers (smoothed) over several hours added to the data from the original Whey/Casein test. The chicken drumsticks are in yellow. The drumsticks (in yellow) are lower overall because I have been on the PSMF longer and my blood sugar levels have dropped. 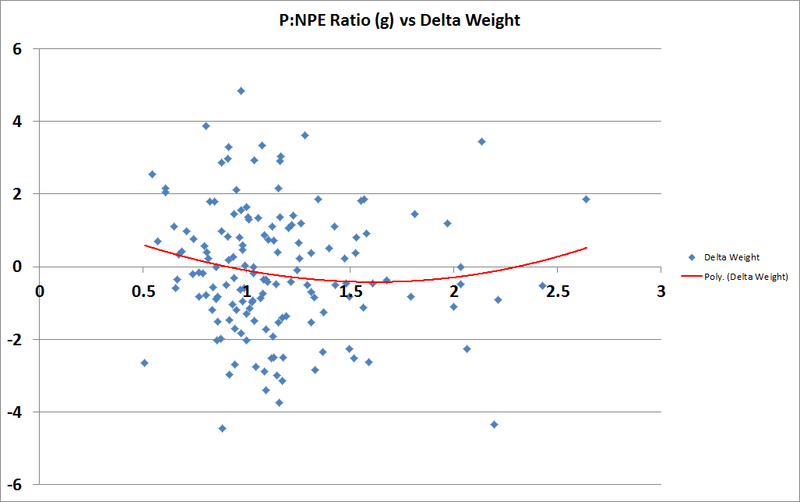 This is evidence, at least to me, that the PSMF is doing good things for my metabolic health. There was a dip at the start of the chicken wing experiment which was due to exercise. In this case it was a particularly grueling Saturday morning routine with a lot of lifting and burpees, etc. That explains the drop from 72 down to 64 at the start. The highest number was very comparable to the Whey and Casein numbers in terms of rise from the minimum. The max rise in Blood Sugar in all of these cases was no more than 20 units. The slope down with the animal Protein is longer and slower. That may explain less feelings of hunger as the consumption of the Protein ends. The curve is longer than either of the “pure” Proteins. The fat may extend that longer than the pure proteins. I’d like to repeat the experiment with low fat chicken breasts and see if it’s the fat or if it is the animal Protein vs Milk Protein of the Whey/Casein choices that makes a difference. 50 grams of Protein is a decent serving size. It is more than enough to stimulate Protein Muscle Synthesis. All in all, I see nothing to worry about with eating Protein even for Type 2 Diabetics like myself. With all of the “Protein turns into candy bars” fear mongering out there, some sanity needs to be applied to the subject. Of course, I would encourage any diabetic to test to see where they are with this same test. At least this way they know what effect Protein would have on their body. If they are a Type 1 Diabetic this information could be helpful to determine what amount of Insulin they should add for Protein. Moved to Low Carb Studies Athletics Site.